platforms and to give you complete visibility and insight into your entire funnel. Is your marketing data dispersed between many disparate systems and platforms, making it impossible to see the forest from the trees of channels, tools and campaigns? 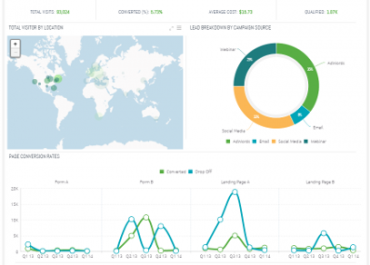 With Sisense, your marketing analytics dashboard reports will take all your data into account – allowing you to see, analyze, and combine all of your data sources to gain a deeper knowledge of how you acquire leads, opportunities and customers. Sisense digital marketing BI lets you see the big picture of your data, or to drill into the most granular details of a particular prospect — from acquisition to retention. Drive new insights into how the leads you are bringing in are behaving further down the funnel, and ensure you’re bringing in the right leads at the right time to continue driving sales and revenue, all while keeping a close eye on your most important KPIs. 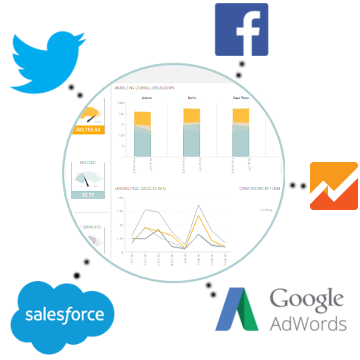 Sisense lets non-technical marketers analyze complex data with unparalleled ease. The In-Chip data engine gives you the power to crunch big data from multiple sources without extensive IT or hardware resources, and to easily create data models and acquire new insights from your data using marketing dashboards anyone can understand. 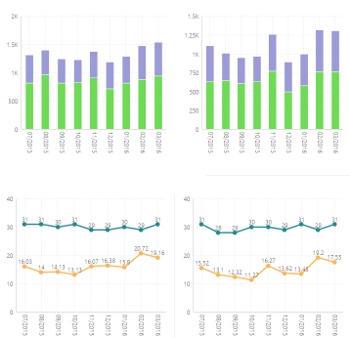 Don’t settle for seeing the same data you already have with nicer graphics: Sisense’s marketing business intelligence goes beyond data visualization and empowers marketers and marketing analysts to perform deep analysis of data from many disparate sources. No more canned reports – ask any question you want about your data, and get the answers you need on the spot. With Sisense marketing analytics tool, it’s incredibly easy to collaborate and share knowledge between team members and departments. 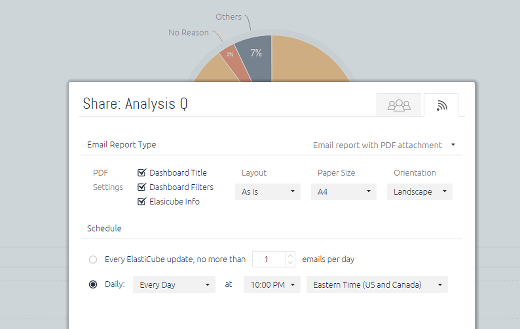 Simplify complex data stories into neat interactive marketing KPI dashboards, and share the results via any browser, native mobile apps or via scheduled email PDF reports.